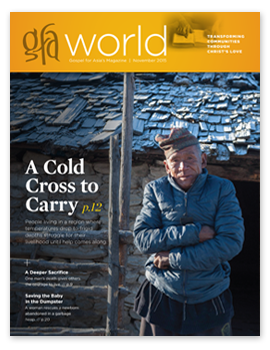 Gospel for Asia-supported pastor Nateshwar knew what it meant to endure opposition for the sake of Christ. He remembered the hostility he faced when he first told his parents he wanted to be a Christian. He knew how his people despised those who “forsook their ancestral gods” to worship what they considered “the God of the lower class.” He had faced that hatred before, time and time again; it was years of slander, rejection and abuse from his people. He saw the same disgust in the eyes of the four drunken men who now stood before him. He faced the hot press of their rage as one of the men raised his arm and rained blows on his body with a stick. It broke under the force of their fury. The crowd around them struggled to stop the beating. The pastor’s voice rose above the fray, echoing the heart of Christians and martyrs through the generations: “Though you beat me, still then I love you,” he cried out. Pastor Nateshwar was born among a proud people—proud of who they are and of the gods they worship. Their sense of honor and identity is heavily tied to their religion and their social structure. But all the religious rituals his family practiced never brought Nateshwar any peace. 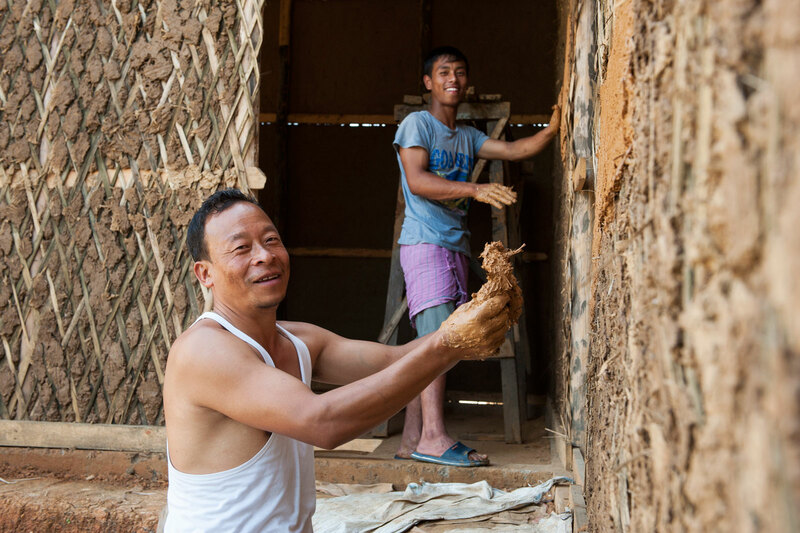 Young Nateshwar left home in his early 20s, searching for work so he could help his parents—an honorable and respectable role for a young man in that community. But when Nateshwar found work, he also found that some of his coworkers were Christians. Nateshwar often saw them praying, and eventually he mustered up the courage to ask them about it. In return, the men gladly told him about the gift of Christ on Calvary. For the first time in his life, Nateshwar became familiar with the greatest King ever to walk the face of the earth. Nateshwar returned home after a few years and soon sought out a Bible and a pastor. His parents were not pleased to discover he had become a Christian. To them, he had abandoned and despised everything they could have given him: the honor and traditions of his people. They made him suffer for his decision. So did his neighbors. They gossiped, slandered his name and looked on him with disgust. This sort of treatment is common for people in Nateshwar’s situation. 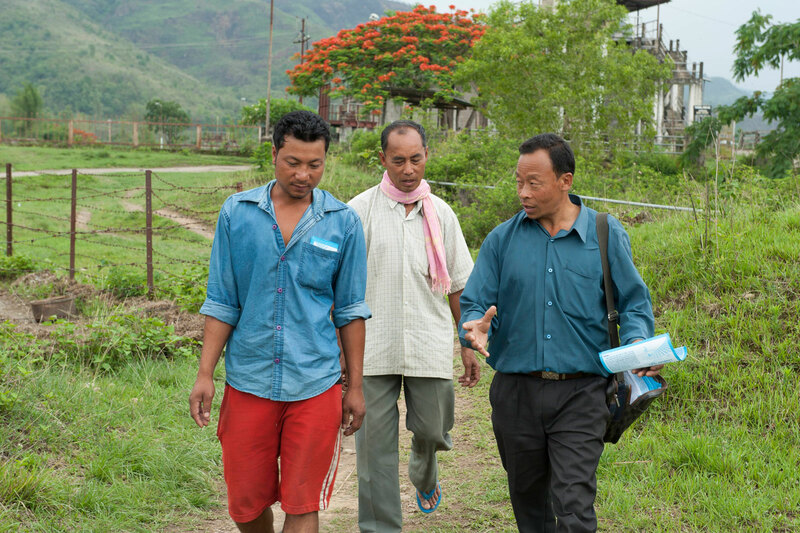 Many people from his people group are ostracized by their families, kicked out of their homes or chased out of their villages. In their eyes, people like Nateshwar have rejected the position they once held to embrace the life of an unclean thing. But in the eternal realms, Nateshwar had left behind his rags and been adopted by the King of the Ages. After reading a book on the lives of Christian missionaries and martyrs of the past, Nateshwar knew his call was to follow the footsteps of the men and women before him—to share the Good News of Jesus’ love and glory—no matter what may come. 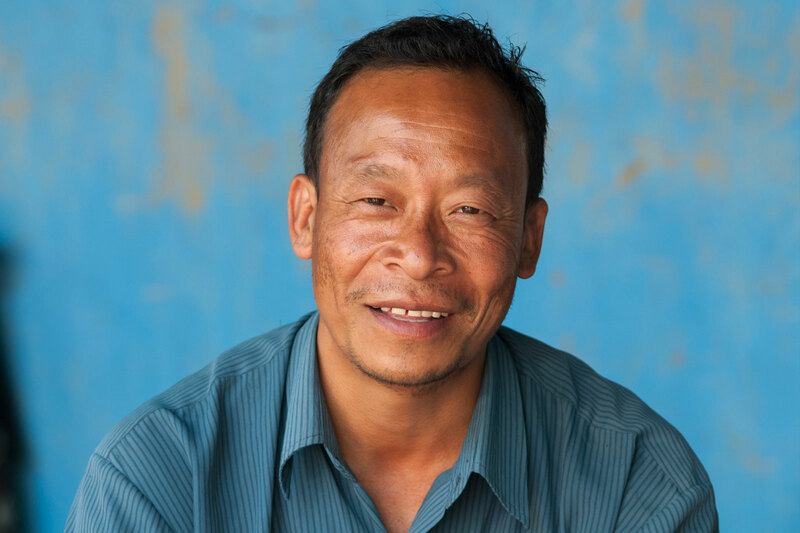 Nateshwar, Gospel for Asia-supported pastor, has ministered to those around him for more than 15 years. The people in his immediate community know him as a man who is humble and loving. There are others who don’t understand why he loves Jesus, but Nateshwar and his wife count it as a privilege to suffer for Jesus. Through Nateshwar’s display of God’s love, dozens of people have come to understand Christ’s grace. Like Pastor Nateshwar, they have seen how the honor of Christ far surpasses any shame they may experience in this life. The beating Pastor Nateshwar faced at the hands of the drunken men in a neighboring village left him bedridden for a week, but it did not dampen his spirit. If anything, Pastor Nateshwar has a greater desire to see these men understand the King’s love that can withstand all the hate the world can throw at it. 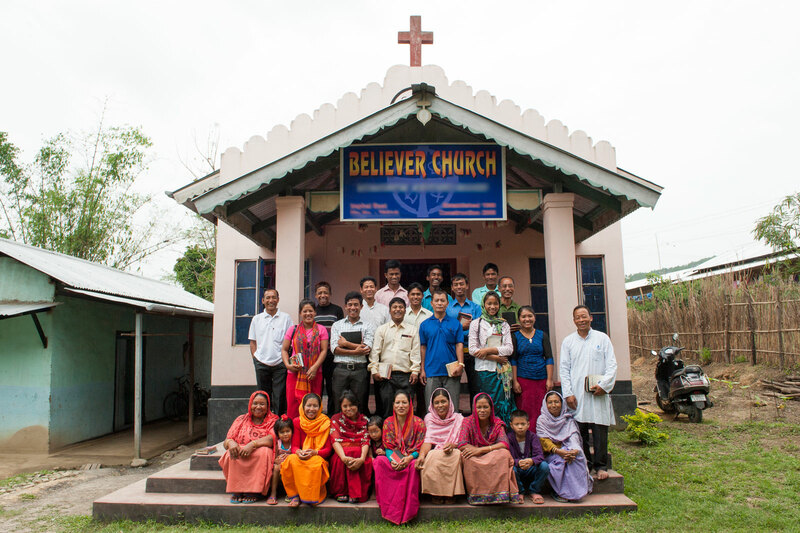 “I know Jesus loves them, so I love them,” Pastor Nateshwar says. Pastor Nateshwar has been following Jesus for more than 20 years, serving as a pastor for more than 15 of them. He has faced much opposition—slander, rejection and even physical attacks— from the community he serves in, but that has not dampened his love for those around him. While returning home from a special church event, Pastor Nateshwar was beaten for the sake of Christ. These brothers were with him and helped stop the attack. Despite the opposition he faces, Pastor Nateshwar has a small church in his community, and leads a few prayer fellowships in neighboring villages. Prayer forms an integral foundation for Pastor Nateshwar’s ministry. He prays every day, and often likes to pray on a local hill overlooking the village. Pastor Nateshwar is a source of encouragement to the believers in his community, who sometimes stop by to visit him. 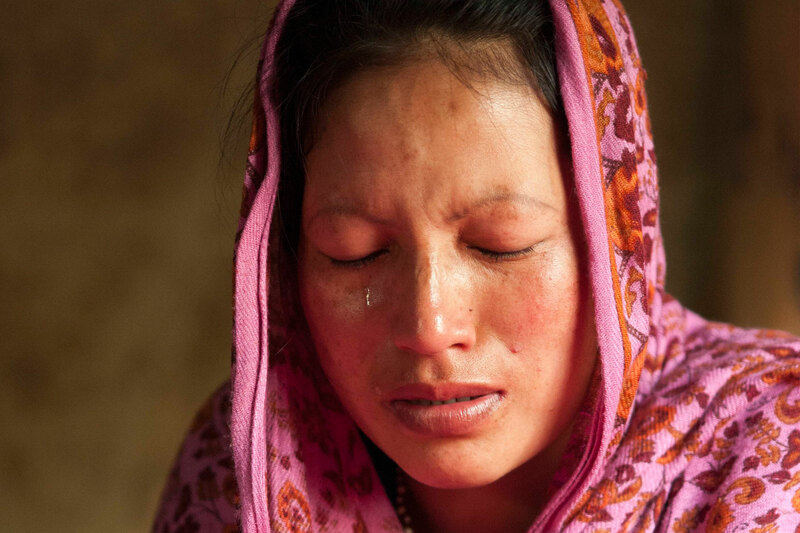 Many of the believers face opposition from their families and neighbors for their faith in Jesus. Pastor Nateshwar is always willing to help. He donated his time to help build this home for a friend. 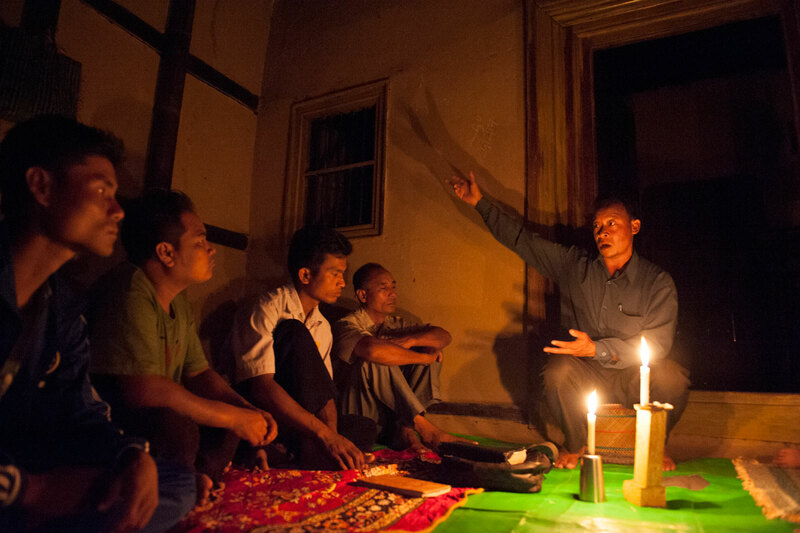 Every week, Pastor Nateshwar travels to multiple homes to conduct prayer fellowship meetings with believers in neighboring villages who are unable to travel to church on Sundays. Sometimes Pastor Nateshwar and the youth of the church will play soccer with others in the village. It is a good opportunity to build relationships and have some fun. Even when he is traveling on the road, Pastor Nateshwar is always prepared to talk about the grace of Jesus with everyone he meets. In addition to leading his church and small fellowships, Pastor Nateshwar has family responsibilities he needs to take care of. 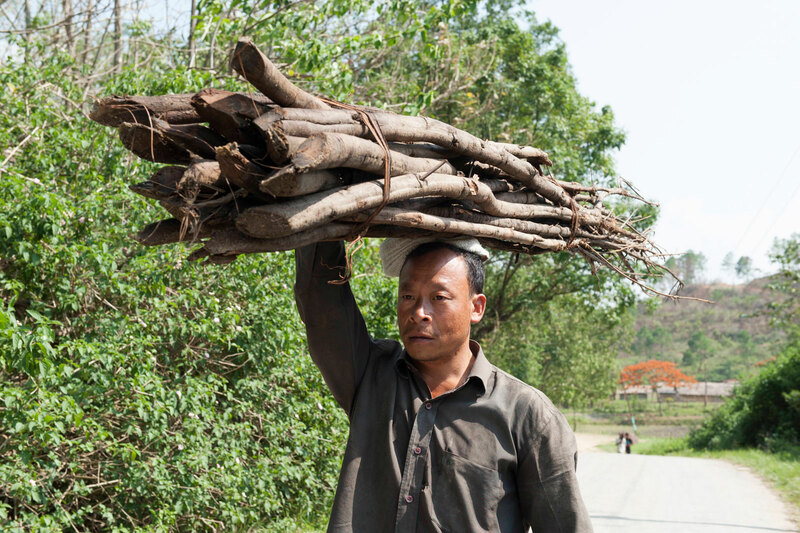 He spent an hour gathering this firewood from the hills nearby for his wife to use for cooking. Pastor Nateshwar’s wife isn’t able to travel with her husband for ministry because she has to take care of their three children. Her heart is with him whenever he goes, and she prays for him regularly. 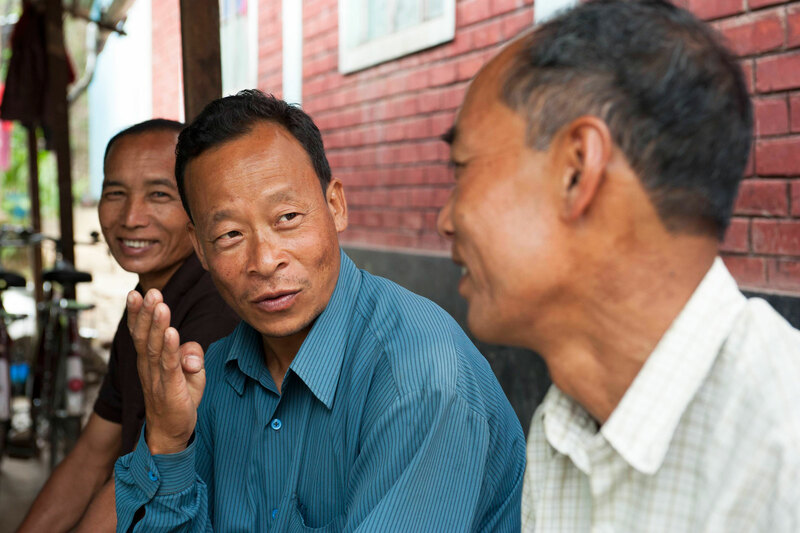 A Gospel for Asia-supported pastor encounters gossip, slander and rejection from his community because of his love for Jesus. Read Story.